Today, customer retention is gaining attention in business. The importance of customer satisfaction, loyalty, and repurchasing behavior is becoming central. The focus has shifted from customer acquisition to customer retention marketing, due to the recognition of its primary relevance. It is a matter of fact that acquiring new customers is important, but not at the expenses of the ones that already exist. There are plenty of statistics about the massive impact that customer retention can have on business value. Nurturing the relationship with customers, in order to gain their loyalty and advocacy, and watch them coming back over and over, is the main purpose every Brand should pursue. Therefore, even among those silos that are focused on numbers and sales, the concern shifted to the value of retention. Despite the fact that acquisitions have always held more weight, and metrics were chosen to examine the revenue of new purchases, today there is a better way to measure business success: customer lifetime value. In order to get a better understanding of the value of customers, rather than using metrics such as Return On Investment (ROI), companies should choose Customer Lifetime Value (CLV). ROI measures the gain and loss generated on an investment, within a specific period of time; otherwise, CLV measures the revenue brought by one customer throughout the course of all the interactions with the company. The main fault of ROI is that it gives a short-sighted business perspective: the concept of “return” requires to set the time by which you want to measure the net profit of your investment. On the contrary, CLV measures the entire value of a lifetime relationship between brand and customer, shifting to a long-term perspective. Furthermore, Return On Investment considers only the amount of profit gained, regardless of the meaning of specific, different interactions. Repurchasing behavior, positive word of mouth or any action of searching, posting or talking about brands value as much as the return of selling products, or even more. Switching from an acquisition- to a retention-oriented business strategy requires a different mindset: rather than giving value to consumers based on the amount of their first transaction, brands should measure the cumulative profit provided by customers during the entire duration of their relationship with the company. How can companies accomplish the purpose of cultivating long-lasting relationships, in order to increase Customer Lifetime Value? Focusing on customer experience. First of all, companies should consider the overall journey of customers. Looking at the bigger picture they can identify the weaknesses and work across functional areas to replace the causes of dissatisfaction and discomfort. 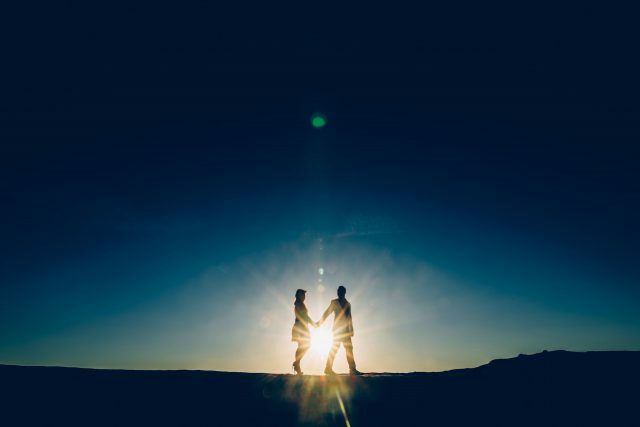 Moreover, concentrating on the relationship, rather than on single interactions, they can cultivate emotional bonds, based on trust, dependability, and reliability. That is the basic requirement of relationship marketing: providing relevant experiences that delight, satisfy, and engage every person, connecting/resonating with their inner meanings. The first step to the extent of building a strong reputation of the company is to work on the customer touchpoints. The growing area of conversational support, provided by chatbots and messaging tools is opening to new patterns. Due to advances in Artificial Intelligence, machine learning and natural language technologies, Brands can engage customers with personalized and helpful communication. This kind of “conversational commerce” is growing up quickly, as long as it provides a continuum thread between companies and people, offering the chance to add value to every part of the customer journey. People can search for information, receive support, get personalized recommendations, chat with the company representative, read reviews and click to purchase, without even leaving the messaging app. Among all the benefits provided by AI, personalization is the feature that best helps companies improve the customer experience. AI technologies let brands easier target specific market segments and provide personalization at scale, using the data gathered by behavior-based algorithms and predictive analytics. Delivering the best customer experience throughout all the touchpoints allows customers to achieve the highest levels of satisfaction and loyalty – the starting point to create a solid bond between brands and people. Just as much as customers have started to choose value over price, companies should consider enhancing the worth of the relationships they establish with people: Customer Lifetime Value can be helpful to gain a deeper understanding of this parameter.